One Bracelet, so many options. This is my son's brainchild and personal project. 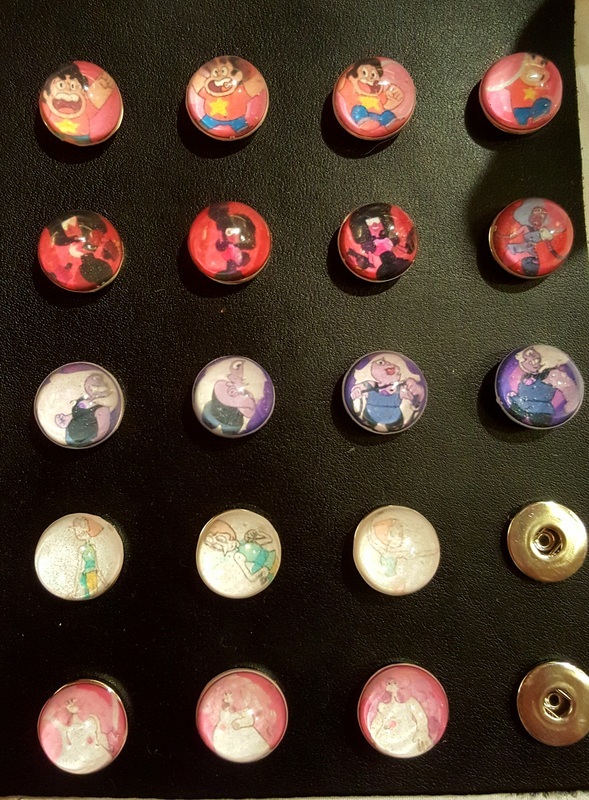 Buttons of Anime images snap into different bracelets! Pick your bracelet, collect the buttons, and swap them out! Available for the first time at Saboten Con 2016! 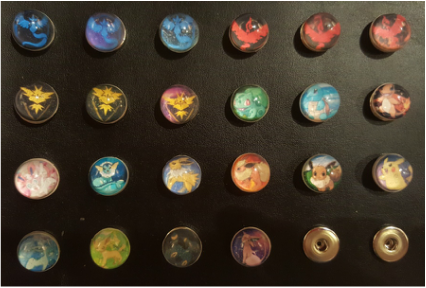 Images currently available: "Steven Universe", "Pokemon Go! 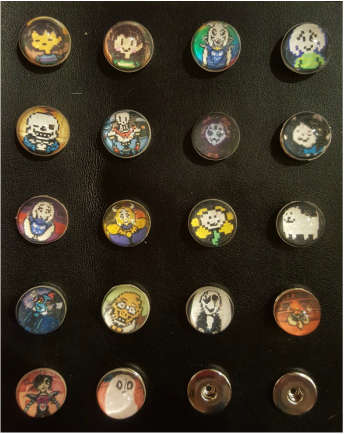 ", "Undertale". "Pokemon Go!" - Collect them all! "Undertale" - You are filled with determination! "Steven Universe" - We are the Crystal Gems!